It’s Friday, which means it’s time to talk about fabric! This won’t be my usual type of Fabric Friday post, instead it is a haul of what I purchased in the NYC garment district last weekend. Some of you may know that my birthday was on Monday. I’m a bit of a picky shopper, so my parents gave me money to spend instead of presents. I spent a little bit on posters and jewelry but decided to spend most of it on fabric. So this post will be devoted to the things I picked up, and what I plan to use them on! I wouldn’t say i’m a thrifty person, but the things I make are created so I can learn. And I don’t need (or want) really expensive fabrics to be a part of the learning process. 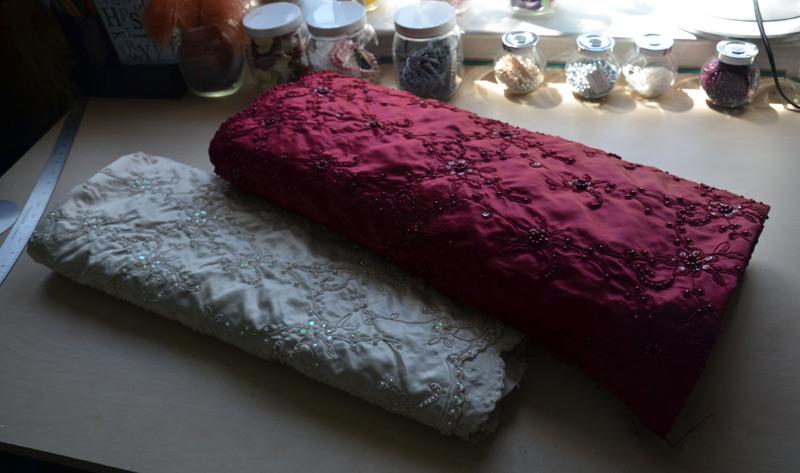 Most of my projects require at least five (sometimes more like twelve) yards of fabric, which adds up really fast. Then you need to buy lining fabric, notions, trims, buttons, embellishments, and the overall price skyrockets. Which is why I usually go into NYC armed with a list of what I need to buy, how much i’m willing to pay, and how much I need of each material. I’ll bring swatches, sketches, lists, whatever I think will keep me organized and on budget. 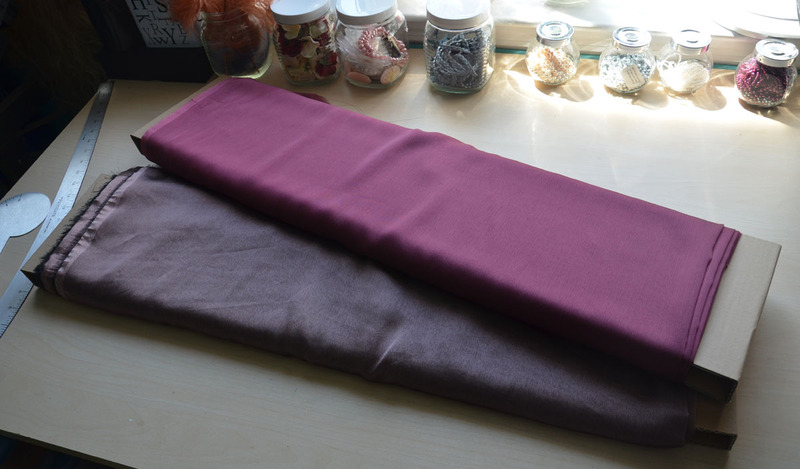 It’s very rare for me to purchase fabric without a project in mind, unless it’s super cheap. But was a birthday shopping trip, and because I was spending my own money, it was a little different then usual. I didn’t go in with a list – or any idea of what I wanted (very scary) . My goal was to buy things I liked, and to not be as concerned about the price or projects in mind. So that’s what I did! I want to say i’m not writing this as an attempt to brag or anything like that – I asked on tumblr and people showed a genuine interest in what I purchased, which is why I’m posting this. Also, buying this huge amount of fabric is not a regular occurrence for me, this is a once a year type of thing. 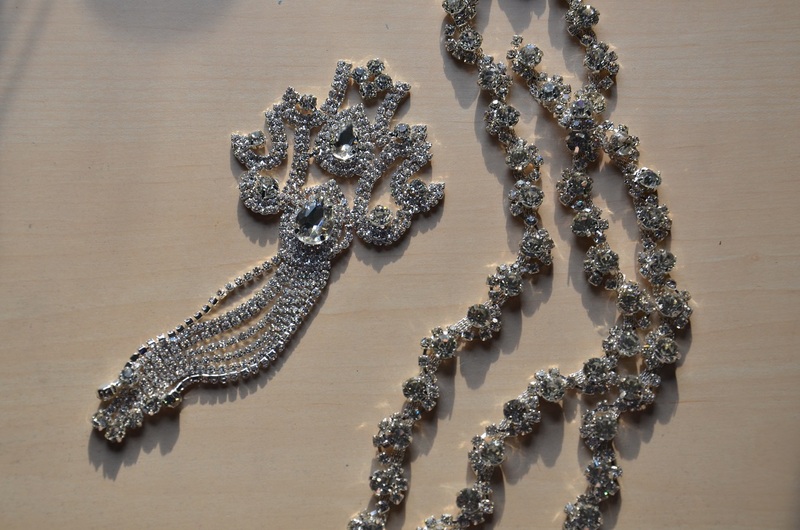 My first and most frivolous purchase was this rhinestone encrusted chain, and a large pendent to go with it. The shop I visited had a wall devoted to different types of these, they were so damn pretty I knew I had to take something home. The prices ranged from $10 – $70 a yard which scared me a little at first. When you think about it, less elaborate necklaces would cost double the price, and a yard is enough to make two, so it isn’t that unreasonable. I ended up going with a pendant made for bridal headpieces ($16) and a yard of a mid tier chain ($16) it was expensive and a bit silly, but I really love these and think they make a good gift. Keeping on trend with the trims. 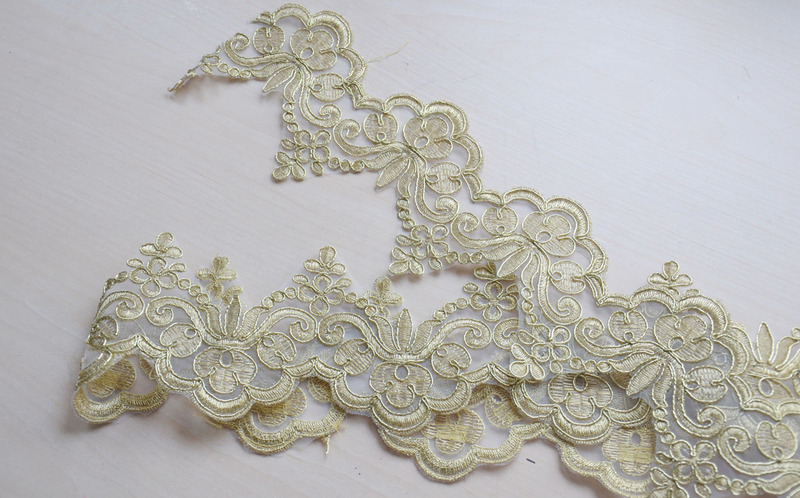 I’m not really sure what it will get used for, but I love gold trim, especially in the form of lace. It will either be used to hem a dress, or cut apart to make pretty appliques. 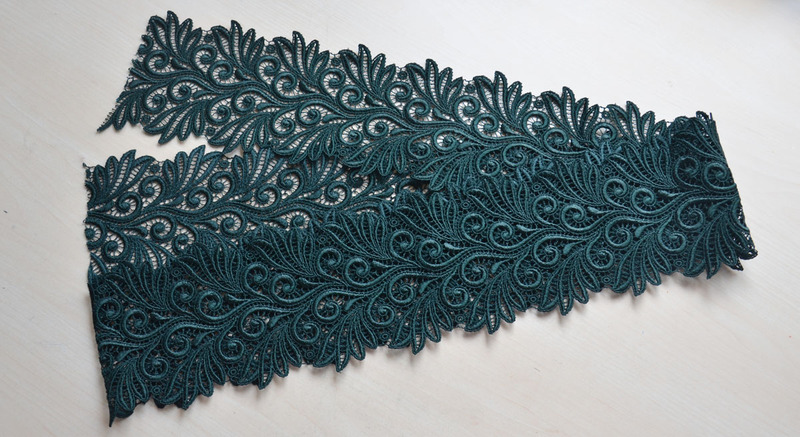 In the same store I found this green lace and loved it enough to buy two yards. I’ve been wanting to make something green for a long time, and this inspired me to make that a reality! My final purchase from the shop was these feathers! I’ve been getting more into hats and headpieces, so I knew I wanted to buy at least a few feathers. 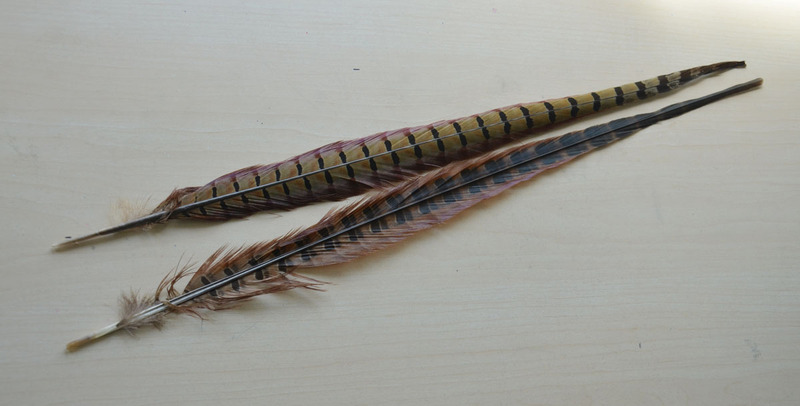 My favorite store that sells feathers was closed, so these were the only two I bought on the trip. I’ll have to get more next time, or attempt to find a seller on etsy. In the next shop I went a little bit crazy. I left with twenty yards of fabric. Who does that? 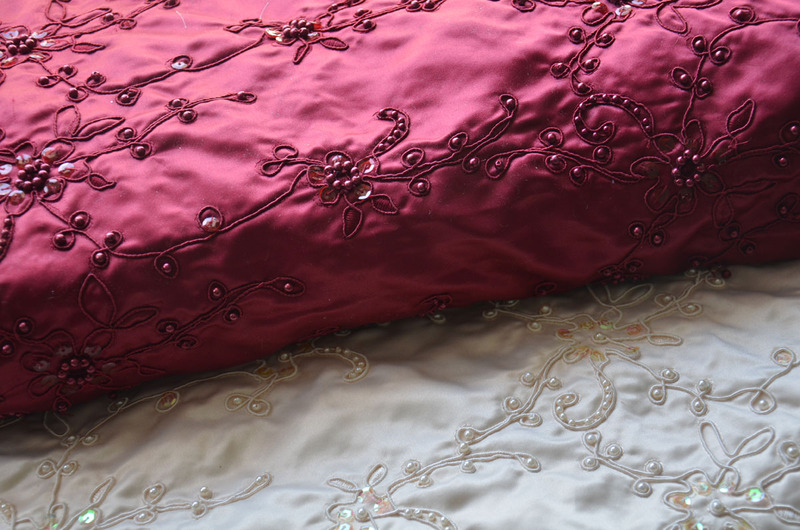 Purchase number one were these embroidered and embellished satins. I intended to buy one yard of the ivory, and five yards of the red, but because it was the end of both bolts I got a yard extra of each, for free! I have no clue what to use them for, but I think they are pretty. 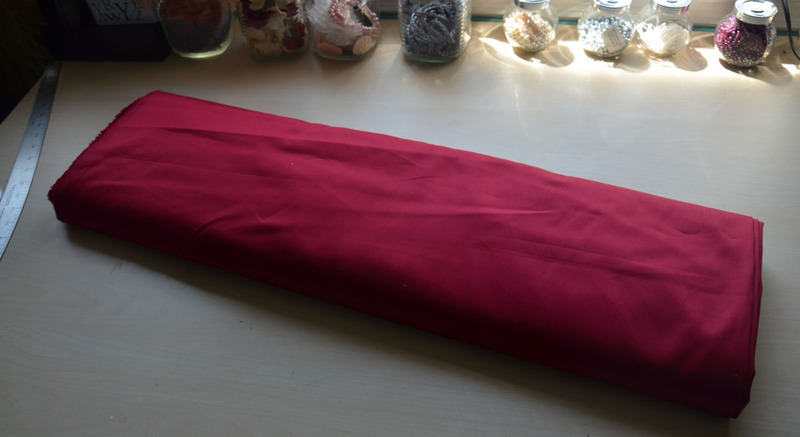 I also bought more of this raspberry colored cotton sateen. I’ve made a dress from this fabric before, and I love it very much. 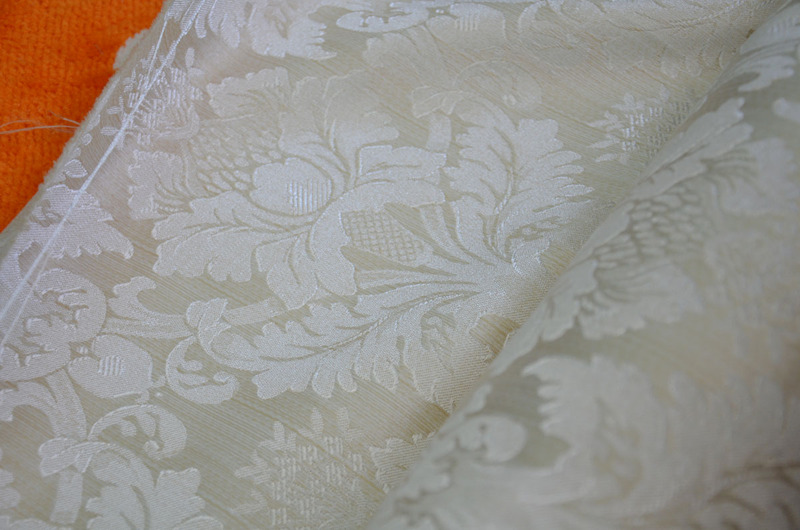 The fabric is a dream to work with, it drapes beautifully, and is only $4 a yard. I actually bought this with something in mind…Ever since I saw this painting at the Brooklyn Museum I’ve wanted to bring her dress to life, and this is the perfect fabric to do it with. In the same store I picked up two yards of black cotton sateen, three yards of glitter satin and two yards of stretch tulle. 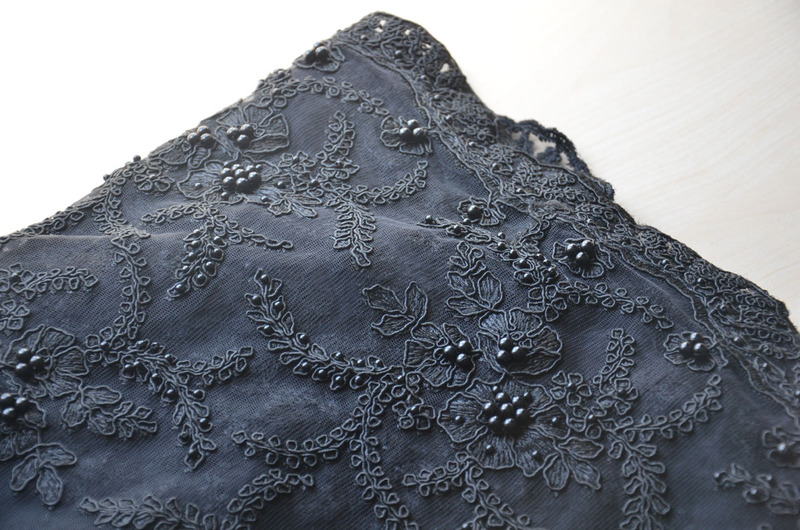 I’ve wanted to make a black embroidered capelet for a little while, and when that happens i’ll need a dress to go underneath, these seemed like a good base for that project! 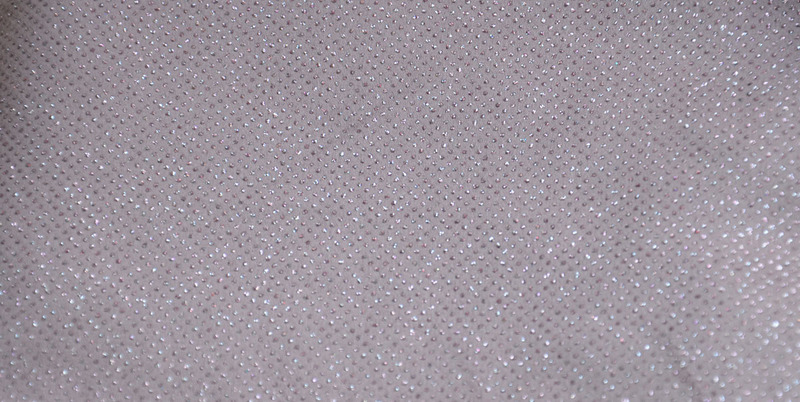 Glitter satin isn’t a fabric I would usually choose, but I feel like the subdued pink color tones down the glitter so it isn’t tacky. Or maybe it’s super tacky and i’m just trying to justify my love for it. Either way I like it a lot. I also bought some brocade. Because I can’t have a shopping trip where I don’t buy at least a little brocade. 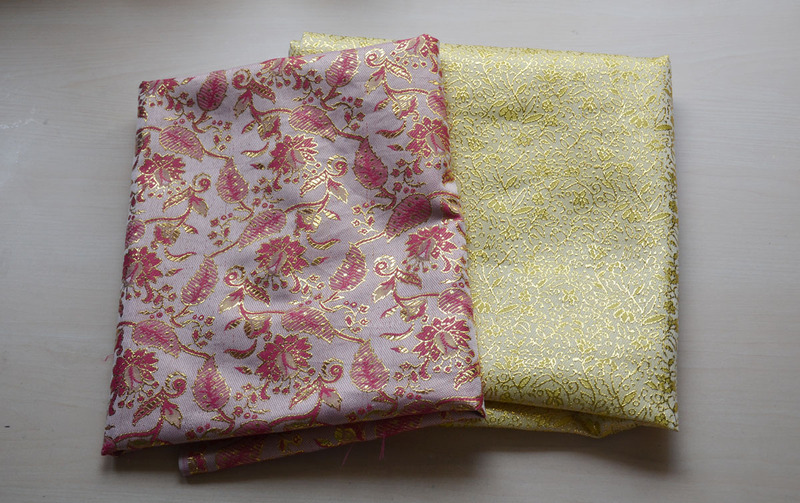 I purchased three yards of the gold, and one yard of the pink one. These will either be turned into fancy bodices or made into piping and used with a more subdued material. I kind of want to make a super fancy jacket from the gold one, but it would probably blind people. 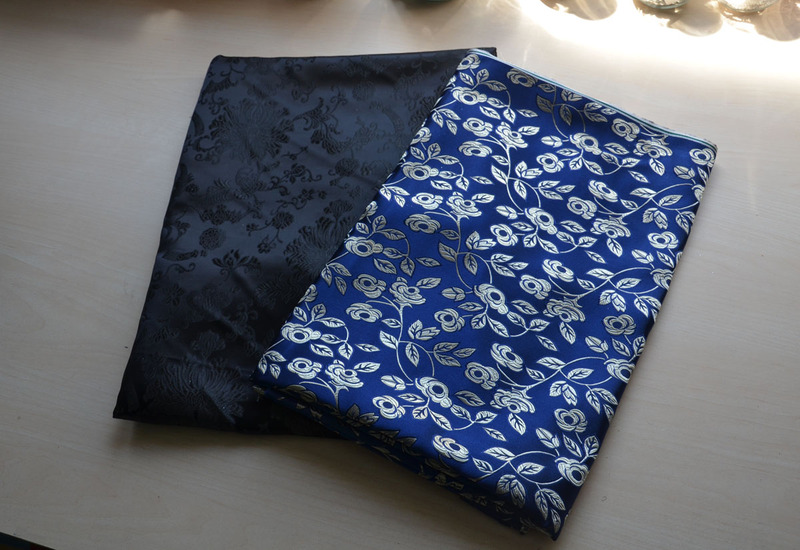 I picked up these two more subtle brocades, two yards of the black and a yard of the blue. The black one has a satiny finish, and though I loved it in the store I now think It looks a little too asian influenced to work in any of my projects. I still adore the royal blue brocade – I have no clue what to do with it but it’s lovely. 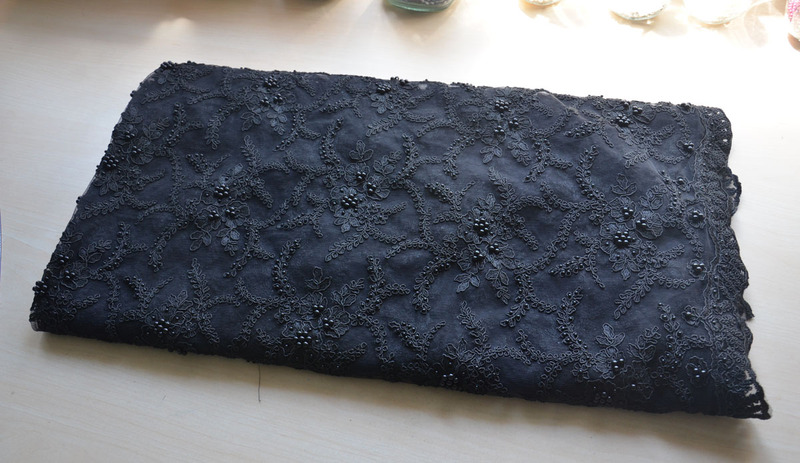 The final pretty fabric I purchased (the rest are quite boring) is this black lace. I liked the black lace I worked with on my striped taffeta dress so much I wanted more. Obviously I couldn’t find more, but I did find something similar, and I snatched up two yards. I paid $50 for the two yards, which hurt, a lot. But I’m going to pair it with some taffeta I already own, so the overall cost shouldn’t be too bad. Moving on to the boring fabrics! 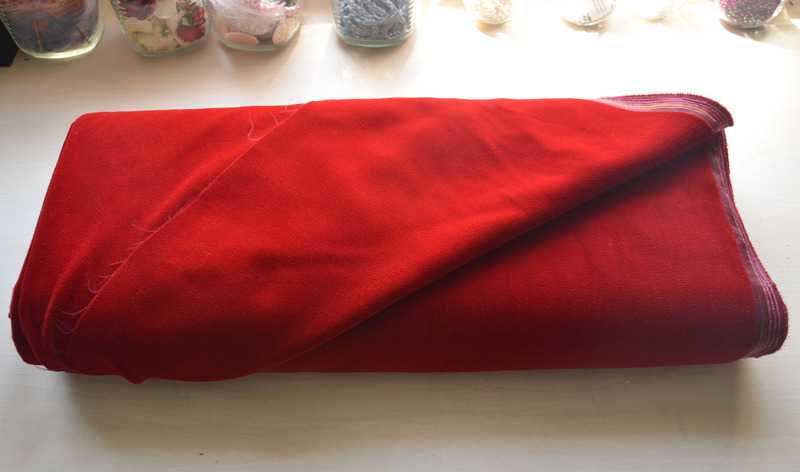 I bought seven yards of bright red flat backed velvet, I purchased this kind of – sort of with a project in mind. 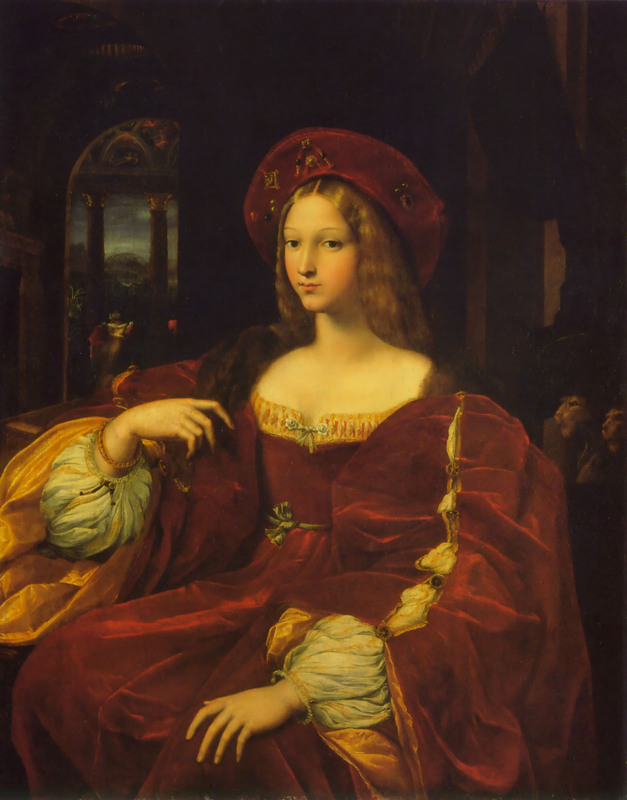 For a while i’ve wanted to make something similar to the dress Joanna of Aragon wears in this portrait, but I may use it for something else. Large quantities of velvet always come in handy. I purchased seven yards of linen, and three yards of textured linen in the same store. 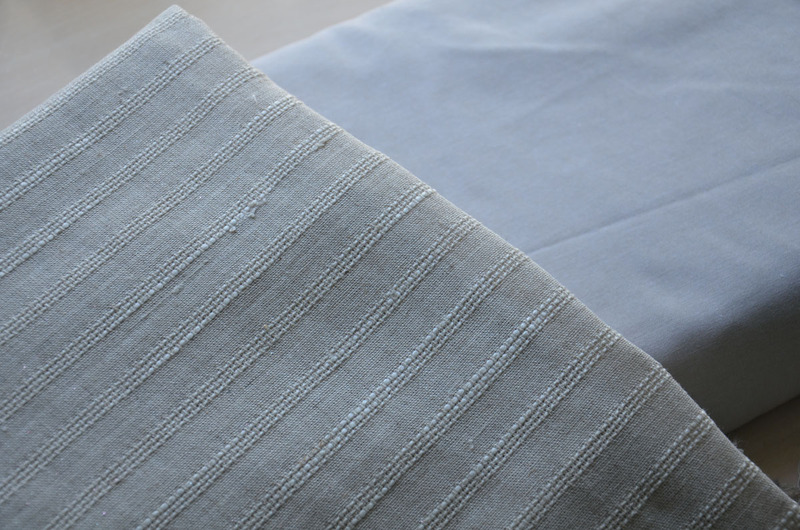 The plain linen is for a chemise – I’m not sure what type yet, but I have a few upcoming projects that will require one, so i’ll decide then. I just liked the textured linen. I want to make some middle age-y things in the near future and I feel like this would work well with them. I also bought chiffon. 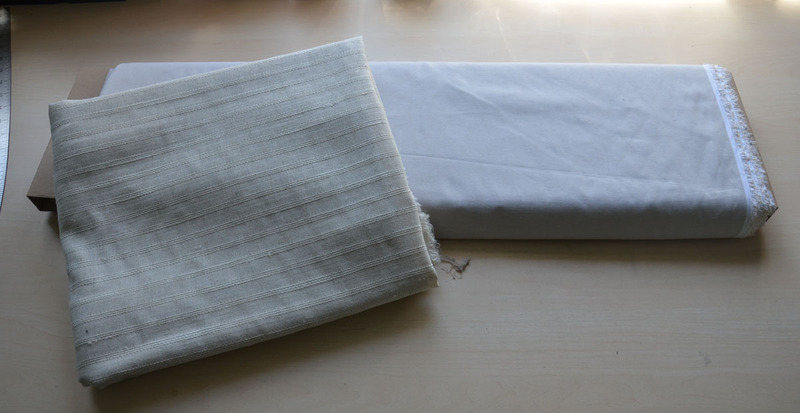 Another fabric that is just good to have around, even if you don’t know what to do with it. These really caught my eye – although they are polyester chiffon, they flow like silk and aren’t at all sheer. Really different from what i’ve seen before. I bought seven yards of each, at $4 a yard. 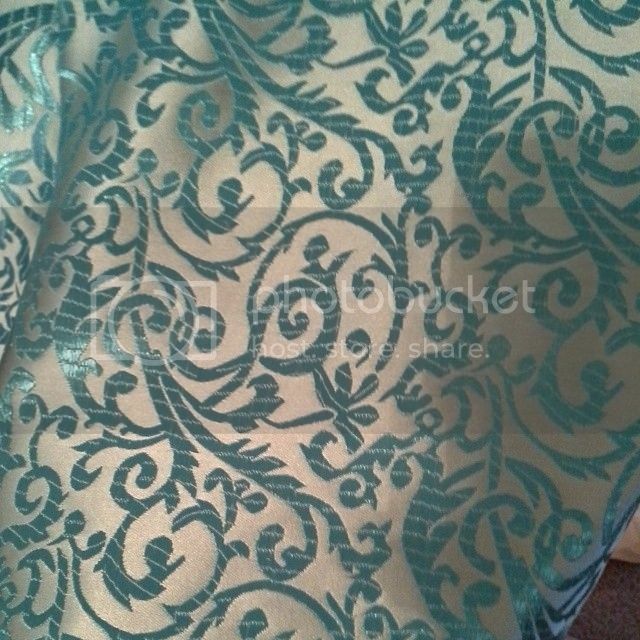 I bought regular, semi-sheer two tone chiffon as well, three yards in each color. I’m not sure why but these colors really jumped out at me, and I liked how they looked next to the gold and navy. At the end of my shopping spree I realized something – I wasn’t sure if I had bought enough fabric for a complete project. Though I had bought bits and pieces here and there I didn’t think I had enough cohesive materials to make a single thing. So I went back and bought two fabrics that had caught my eye, but I had passed by. 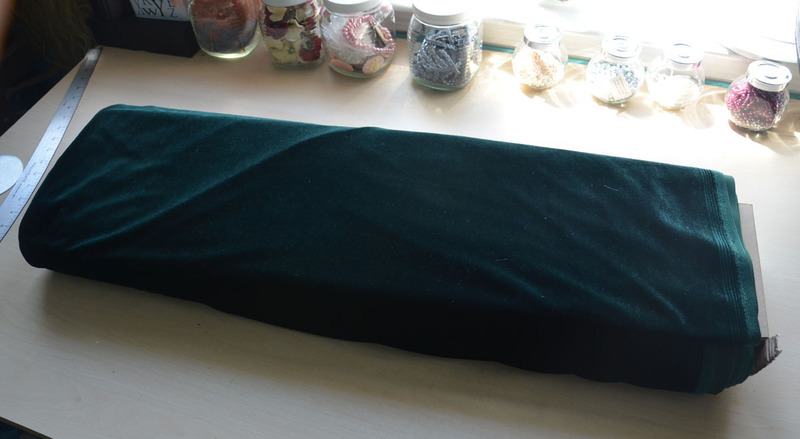 Thing one was this very rich, dark green stretch velvet. I bought seven yards at $6 a yard, but it was the end of a roll so I got almost two yards extra for free. This matches the green trim I purchased earlier very well. Then I zoomed back to another store and got seven yards (the magic number of this day) of ivory upholstery demask. This is my favorite purchase of the day, believe it or not. I bought it thinking it was sixy inches wide, but when I brought it home I realized it’s one hundred and twenty inches wide – twice the amount I expected. So exciting. I think it will look really lovely as a dress worn underneath a green cape. So that’s that. My fabric collection has officially grown by fifty (more like seventy, yikes) yards and i’m not sure where to put everything. I guess I need to get sewing to make more room! I feel pretty insane and a little guilty buying some much fabric, but i’m sure it will all be used before the year is up. Between this haul and what I purchased on fabric.com a few months back I have enough fabric for a dozen projects, exciting! I hope you enjoyed, and if you are interested in my few non-fabric birthday items, i’ll be posting them under this tag on tumblr. Sticking to Fabric Friday tradition, I suppose i’ll ask a question: What is the most recent material you’ve bought? Did you buy it just because it was pretty, or do you have a project in mind for it? Gosh, I haven’t bought much fabric in a while… I have tons of batik fat quarters that were part of prizes for various quilting competitions, oh, but I did buy a partially finished green wool dress for £7, which was way less than the price I would have paid for the raw fabric! All I need to do is unpick and resew all the seams (with seam allowance this time!) Loving Fabric Fridays! It’s inspiring me to do more sewing again. I just went out yesterday and bought some fabric from Joann’s, it’s for a tote bag I’ve been wanting to make. I picked out a really pretty cream home decor fabric printed with blue and salmon colored flowers for the front and back and some textured cream for the sides. I plan on lining it with solid salmon but they didn’t have any there so I’ll be making another trip to a local fabric shop this weekend. I’ve only been sewing for about a year now (does the year of home-ec I class I took over 20 years ago count?) so I’m not really experimenting with fabrics yet; I’ve only been getting cottons and broadcloths that are easy to work with for me. Though the more I learn and the more I see from sites, blogs, and the like, the more I think eventually I will branch out and try working with other materials. Last batch of fabric I bought is to make a simple costume for a Memorial Day weekend gathering. Before that, it was fabrics to make mage robes from Dragon Age 2, and shrouded robes from Skyrim for PAX East. Hooray! I’ve been looking forward to your Fabric Friday post all day!!! 😀 What a lovely haul you picked up! That linen you bought is very nice. As for your question, I’ve been on a fabric fast since Christmas! I’m planning on making a trip up to the NYC garment district in June, and I’ve been saving every bit of “fun money” for fabric buying purposes! 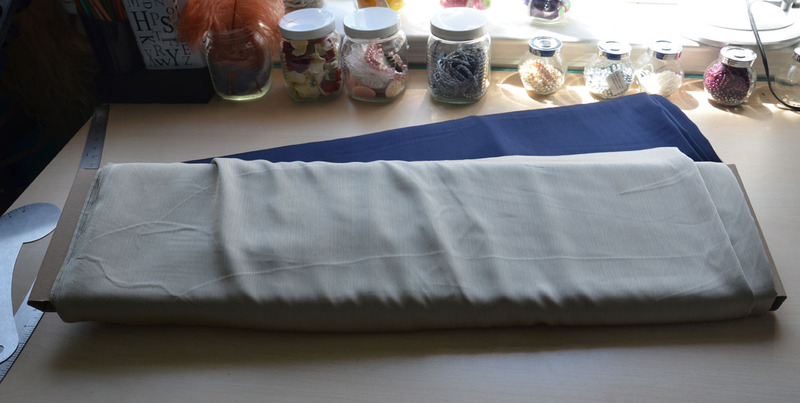 But I think the last fabric I bought was 5 yards of very thin blue and white striped cotton, to be used in a bustle gown or natural form gown, it depends on how I’m feeling when I get around to using it! I didn’t buy any fabric between December and March – such torture! I hope you enjoy the shopping trip! What a great haul! 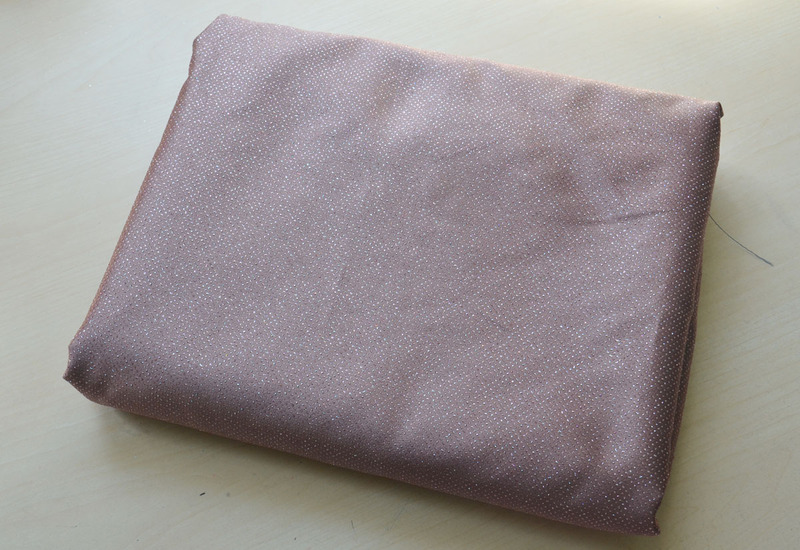 🙂 I recently got 8 yards of pink metallic brocade for a cosplay and the seller gave me almost 2 yards free! ^_^ I was very happy! Hehe! Looks like you’ve had a lovely birthday! 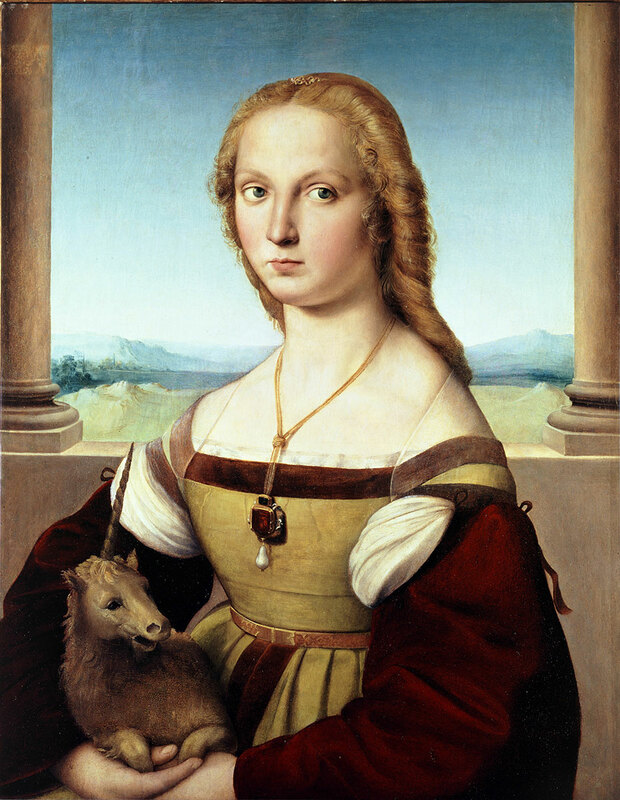 Also, I was looking at a unicorn book tonight with my daughter, and I found the Raphael picture of Lady with a Unicorn. I saw her dress and immediately thought of you. 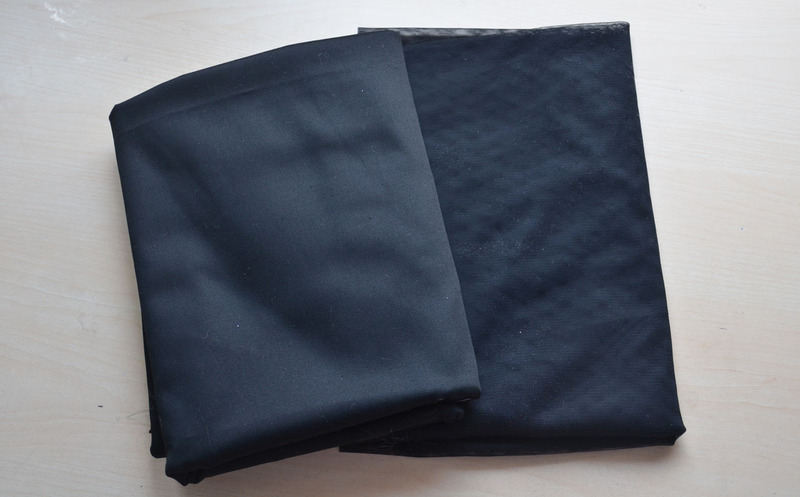 To answer your question, my last fabric purchase were 4 meters black silk jersey for a cosplay. 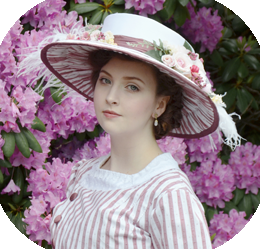 I plan to make the dress in May, when I’m more free from work. What a lovely collection of fabric! I have some of that exact same ivory upholstery damask that I bought years ago for a dress that didn’t happen… I’m looking forward to seeing what you make with it. 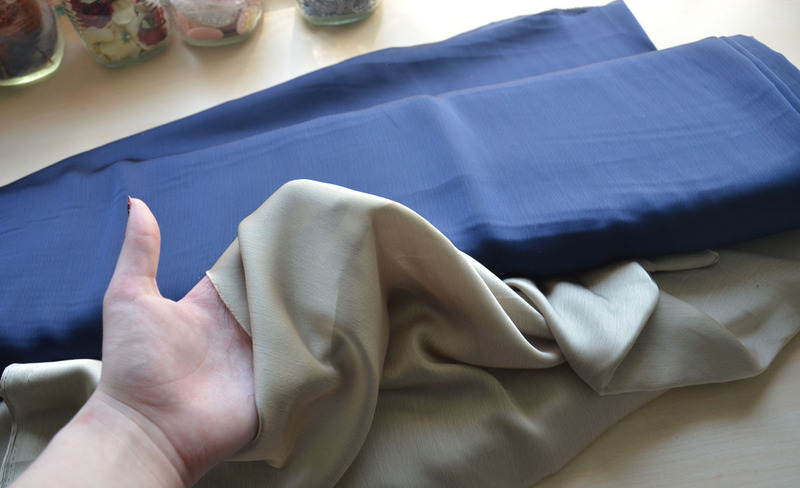 Most recent fabric purchase… some lovely deep blue jersey knit that I don’t have a specific project for. That’s neat! I was planning on making a gigantic ball gown from it, but now that I have double the amount I may try to think up something more creative. Really enjoy reading about your fabric shopping trip!! I am the same way with oil paints and brushed. !!! Wow! Those are all beautiful 😀 so jealous… I can’t wait to see you do with them. I started sewing about two weeks ago (after looking through your blog and being highly inspired to try my hand – GO YOU! ), and I apparently decided to jump in with both feet…I bought a really lovely blue and silver-toned brocade that literally screamed at me from the shelf. Thankfully, it was 40% off. Now it’s sitting on my dress form as a skirt, which I’m hoping to put a petticoat under to give it a bit of added lift. I have fabrics piling up that I bought for projects that I just never seem to get to. And then a couple that I bought because I loved them, having no project in mind, but I cannot bring myself to cut them for anything. I recently spent nearly $200 on fabric to make a king size quilt for my husband and I’s bed. This will be my first ever real quilt (I have made a few quilts for baby dolls) and I am terrified to start (even though it is a super simple design of my own that is just wide stripes going the whole length across the bed)!! What a lovely haul! I was wondering, how do you bolt your fabrics? This might just be the answer to my lack of storage problem! The last thing I hauled is a little bit different. I used to sew a lot of costumes about 5 years back. Then I went into a bit of a dry spell and all my fabrics were neatly stashed away in large plastic boxes for years. I recently revisited them and ‘hauled’ out of my own collection! First thing I will be revisiting is a black velvet corset with lots of embroidery and combining that with a brick red chiffon dress – but why did I only buy one meter of it? I’ve heard that referred to as shopping your stash – it’s always fun rediscovering things things you forgot you even owned! Do you recall what store your purchased the cotton sateen from? I’d really love to purchase some locally for a project! If I recall correctly its from the store “Hamed fabrics” on W 39th street! I’ve been checking your blog frequently lately; you inspire me greatly, and I just wanna thank you for that. Recently I also bought some taffeta, both plain and crinkled, in different shades of purple and some black organza for a kind of mage costume I guess?.. Between seeing what you do and a few other tutorials, I also want to make a petticoat for under the skirts. Thank you so much for the kind words! I’m really glad you enjoy my blog, and even find it inspiring. It makes me really happy to know someone feels that way. Sounds fun! I hope you enjoy creating your future projects. and the fabric you bought looks absolutely perfect for it! It’s from a store called Dianas fabric – they have a website but if you go to the store you can haggle down the prices to be around half of what they list. I actually just did a massive online fabric order today so that I can just move from one project to the next and keep my practice up. I can’t wait to see the rest of your ivory gown!